After one of the craziest trade deadline days ever in the NBA (over 8% of the league was traded), the Timberwolves came away with one extremely familiar face: Da Kid, The Franchise, The Big Ticket, KG, Kevin Garnett. Chase Budinger, Kevin Martin and recently acquired guard Gary Neal (who may yet be bought out of his contract after 4-5 teams were interested at the deadline) are staying put after their names were thrown around as potential movers on the trade deadline. Though the Wolves and President of Basketball Operations Flip Saunders may have hoped to move a few other assets, in the end, the only thing he did was bring back the undisputed best player the franchise has ever had in a straight-up trade of Thaddeus Young to the Brooklyn Nets. Garnett, 38, is the player who took the expansion Wolves from a team that everyone trampled on, to a team that earned respect because of their fearsome leader’s hard play. 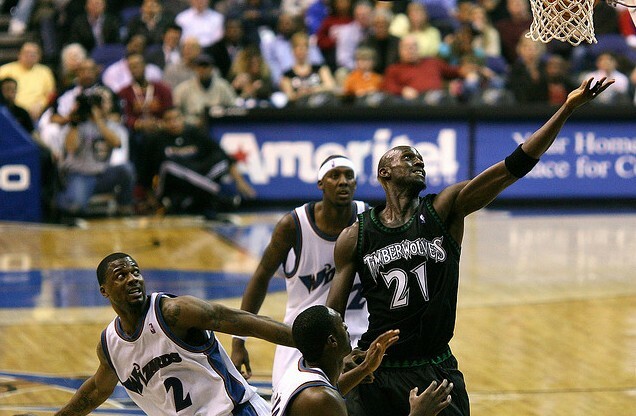 The Wolves have yet to make the playoffs or even manage a .500 or better record since Garnett left in 2007. Garnett (who I’m crowning “Da Dad”) is resistant to change and uprooting his family and reportedly would only consider a trade to Minnesota and not the other 28 possible candidates. Other Wolves’ players recognize the impact that KG’s presence will have when he gets to the team by Wednesday’s game against the Wizards at Target Center. Garnett is close to Saunders, his coach for his first stint in a Wolves’ uniform, and also hopes to someday own the Timberwolves. That’s not to say he isn’t excited to play for this team now, though. “For him to give up his no-trade clause to come here, that shows that his heart is still here,” Saunders said. Garnett will be the 22nd player on the Wolves this year. According to Saunders, it came down to seven minutes before the 2 p.m. CST trade deadline before Garnett finally decided to waive his no-trade clause and come back to the team he led for 12 seasons. The former league MVP told Saunders he wants to have an impact for the rest of this season and if it pans out, it may be even longer than just those 29 games. AP’s Jon Krawczynski reported that it may not just be a ride off into the sunset at season’s end. Plus, it seems that Minnesota teams are really into bringing back their old stars and heroes as of late (think Randy Moss). 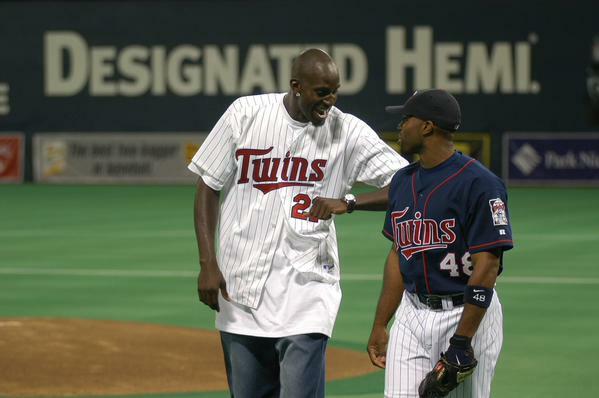 The Twins signed Torii Hunter in the offseason. They may not be the players they were when they left, but the nostalgia is intoxicating (plus take a look at these classic pics of KG). Garnett will not be the presence on the floor that Wolves’ fans became accustomed to seeing, but should be a productive player (12 points and 12 rebounds per 36 minutes) and most importantly, the perfect leader for one of the youngest squads in the league (average age 22.6 without KG). He will be a Hall-of-Famer and has won a championship (2008 with Celtics), if there’s anyone who knows how to instill intensity in the young Timberwolves, it’s him. Although the team had to give up a better player who’s currently in his prime, Young was a luxury for a team that isn’t making the playoffs this year and should focus on talent development. Young and Garnett have the same Player Efficiency Rating so far this season (14.9, near league average), so the on-court difference shouldn’t be great and will only give more minutes to 2013 draft pick Anthony Bennett and 2014 draft pick Adreian Payne. Although Young is probably worth more in a trade right now, the trade the team made still has fans excited, and I’m glad KG is back. The Wolves take on the Suns tonight at 7 p.m. at Target Center. K.G. is expected to make his debut next Wednesday.